Niantic, the developer behind the popular game Pokémon Go, has made the game available on Apple’s smartwatch. The release gives the game a whole new dynamic and makes it much more enjoyable for players. How does it work on the watch? The game makes much more sense on a smartwatch rather than a smartphone. Pokémon Go requires a lot of physical work and involves traveling from one corner to another searching for a Pokémon. Walking around with your nose stuck to the phone screen is one of the biggest hindrances while playing the game. Transferring the experience from your smartphone to your wrist should, in theory, improve the experience ten folds. The smartwatch app allows players to perform most trivial functions of the game without pulling out their smartphones from their pockets. It allows them to find nearby Pokémon, collect items from Pokéstops and it will also count their total footsteps in both their workout log and steps required to hatch eggs. The app uses the smartwatch notification system to alert players when they are near a PokéStop, when their Eggs hatch, and when medals are awarded to them. Where does it fall short? Although the app offers impressive functionality, it is still not a substitute for the complete game. To catch a Pokémon, players will need to take out their phones and perform the usual drill associated with the process. Considering the limitations of the Apple Watch’s hardware, lack of a proper camera, and the processing power required to augment Pokémon to surroundings, there is a slim chance of that function making its way to the smartwatch. The app is currently rolling out to all users in areas where Pokémon Go is available. 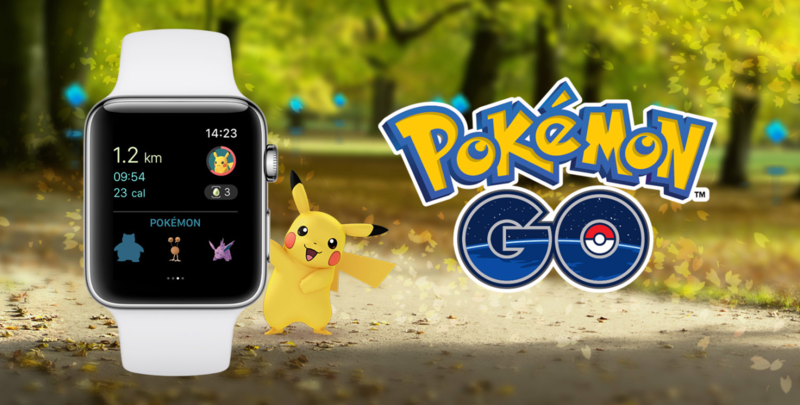 The post Pokémon Go arrives on the Apple Watch appeared first on TechJuice.